The 12th step of CODA states, "Having had a spiritual awakening as the result of these steps, we tried to carry this message to other co-dependents, and to practice these principles in all our affairs." How do you spread the word about how good you feel, when the recipient probably won't want to hear what you have to say? There is a fine line to walk with co-dependency. When I first began looking at my issues I believed that the goal of everyone involved just wanted me to get divorced. I became very defensive and wanted nothing more then to prove everyone was wrong. I didn't want to believe that I was addicted to what was then my wife. It was a difficult pill to swallow. But over time I began to see how true it was. The reality was that I knew it long before I wanted to accept it. What everyone was trying to help me understand was that I could still love her but I first had to learn how to love myself. And for that to happen I had to learn how to enjoy my own company. During my active addiction, I needed to not only control my ex-wife, but to also be the center of her world. It was a very humbling experience to realize how low I had gone. I always considered myself a strong person, but within two years, I had surrendered to alcoholism and now my co-dependency. While my recovery from alcoholism was difficult nothing could prepare me for my addiction to my ex-wife. Yes, my addiction ended in divorce. But it didn't need to end that way. I believe that recovery from co-dependency must be done by both parties. One person can't recover and remain in a healthy relationship if the other person is unwilling to change. While I changed, my ex-wife was quite comfortable with the way our life was. Even though I thought I had control, she was the one that had the ultimate control. She knew which buttons to push to make me meet her needs. By the time I reached the 12th Step I realized how sick I had become. There is an old saying, "If you love someone set it free, if they return they were always yours, if they don't they never were." I tried this with horrible results. At the time we were separated, but we still would get together every now and then. And the more we were a part, the more I knew how dysfunctional and toxic our relationship had become. And my ex-wife also began to see the same things. It was at this time that things went from crazy to insane. She wanted to keep her new found freedom but she also wanted to keep me on a leash. She threw everything she could at me, trying to get me to not only come back to her but to also start drinking once again. As much as I loved her and was constantly praying for us to somehow come back together, I couldn't risk my new found serenity on a dream which in reality, I knew would never happen. After I accepted my new life, I was alone for close to two years but I was never lonely. 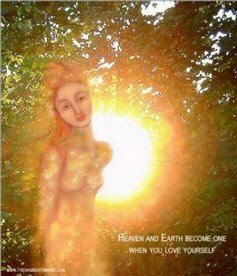 I had learned to love myself and put a new found trust in my Higher Power. With this new found love and trust, I finally found some self-respect. And with that I knew that the decision I made was the only one I could have made for my survival.